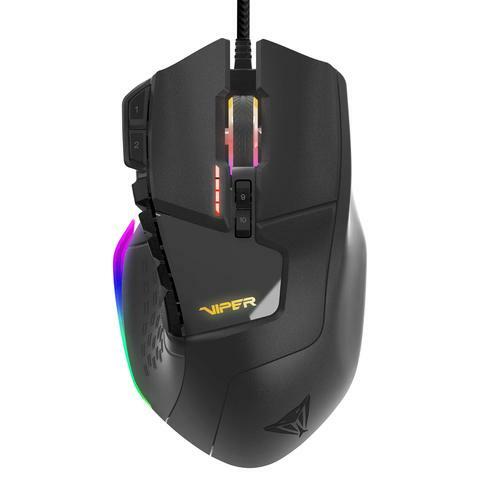 The Patriot Viper V570 RGB Blackout edition gaming mouse gives you the ability to customize your mouse to match any color theme you desire with full spectrum RGB lighting throughout seven different color zones on the mouse. With its unique FPS and MMO hybrid design, you can dominate in a wider array of games. The dedicated sniper button, will give you the tactical advantage in any FPS game. 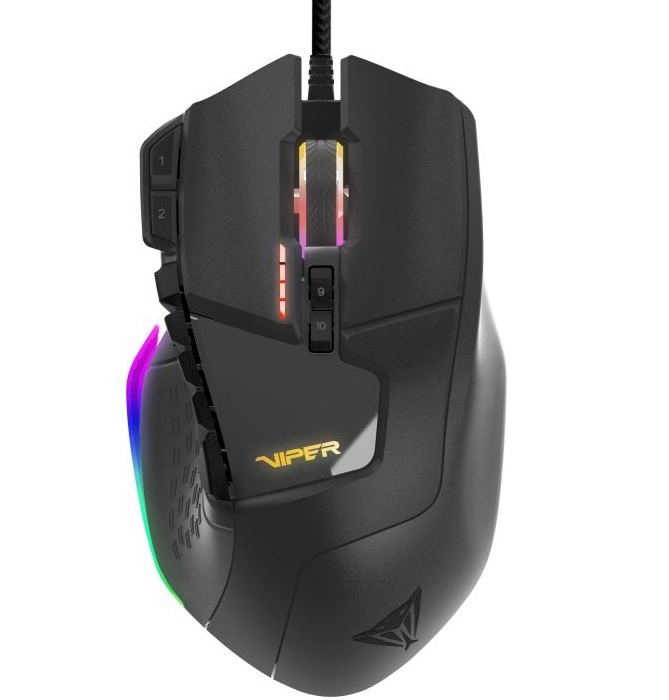 Paired with the Viper Software, the V570 RGB Blackout edition allows you to program up to 13 buttons for easy access during intense gaming sessions, set up custom RGB profiles and adjust the sensitivity to suit your gaming style. It also allows you to add up to 34.2g of weight for a customized feel and greater control. 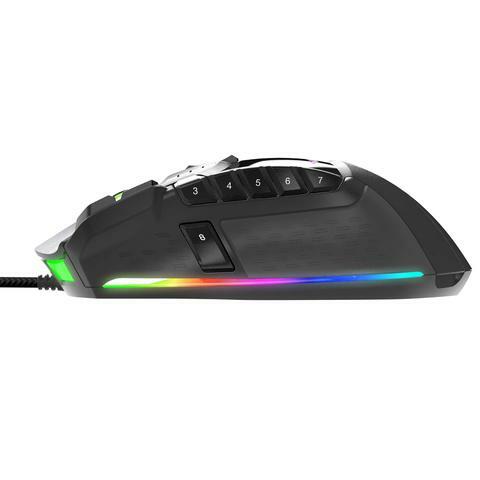 The Viper V570 RGB Blackout edition laser gaming mouse is equipped with an Xtreme precision laser sensor and Omron switches for reliability and speed while maneuvering through the most demanding games. The Viper Software allows you the flexibility to program four levels of DPI settings up to 12,000 DPI that can be switched on the fly with the press of a button. Ergonomic design and ceramic foot pads allow for maximum performance and speed over any surface. 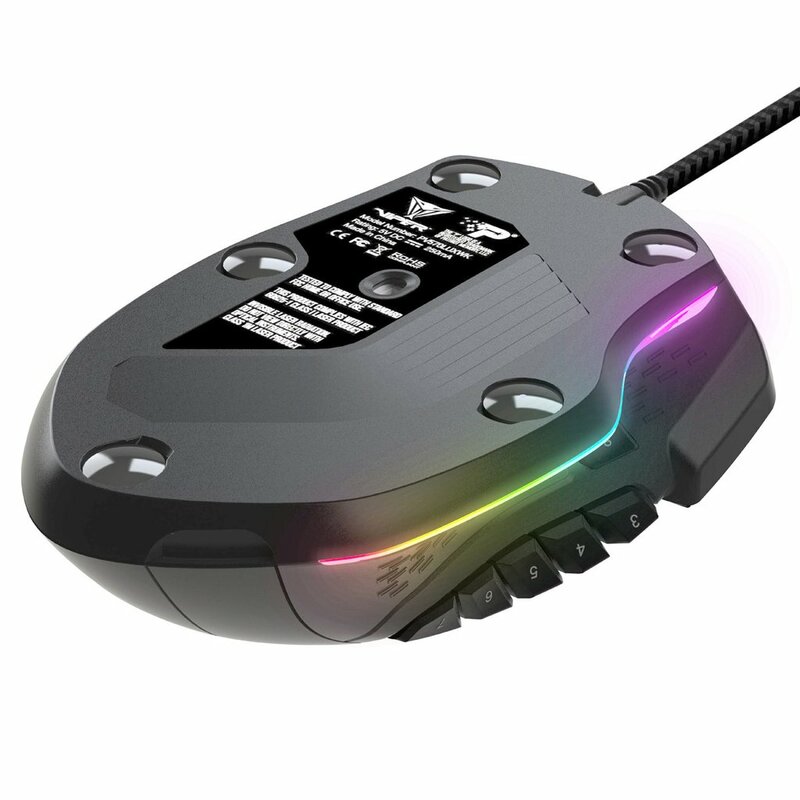 Backed by Patriot’s award winning customer service and a two year warranty, the V570 RGB Blackout edition is compatible with nearly every Windows® operating system, including Windows® 10 and later, and Mac® OS X, or higher. Feel anxious about the features you may have to give up? With its Viper V570 RGB, Patriot has your back.